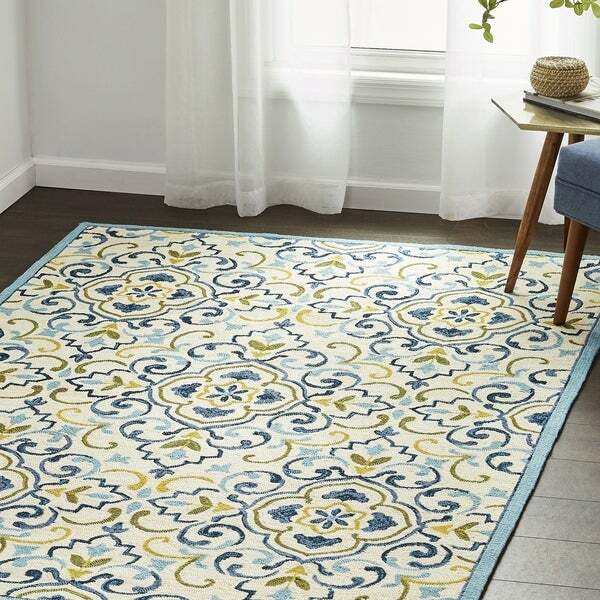 Irises Blue & Yellow Vintage Traditional Area Rug - 7'10" x 10'3"
A stunning decorative centerpiece for any room, the VCNY Home Lilou Hand Hooked Area Rug features old world-inspired medallions, scrolls, and stylized vines in shades of blue, yellow, and green. Available in a variety of sizes, each rug is artfully hand-hooked using polypropylene material to create a soft, durable weave that is resistant to water, stains, and fading for a timeless style that's built to last. Atticus Navy & Gold Traditional Area Rug - 7'10" x 10'3"